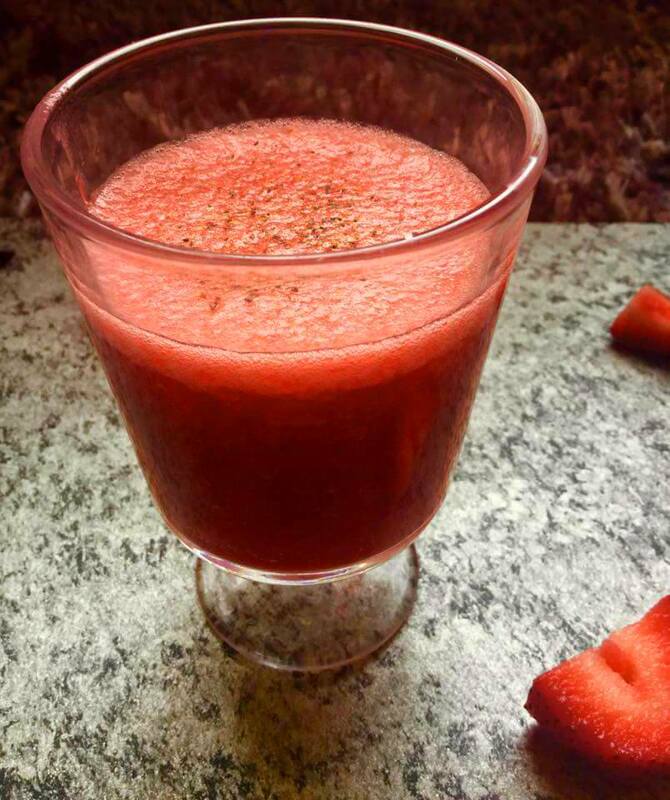 Spiked Plums & Strawberries Juice – The Ultimate Refresher Drink! OK, do not judge me, This is the first time I ever tasted Plums! Yes, It is true. 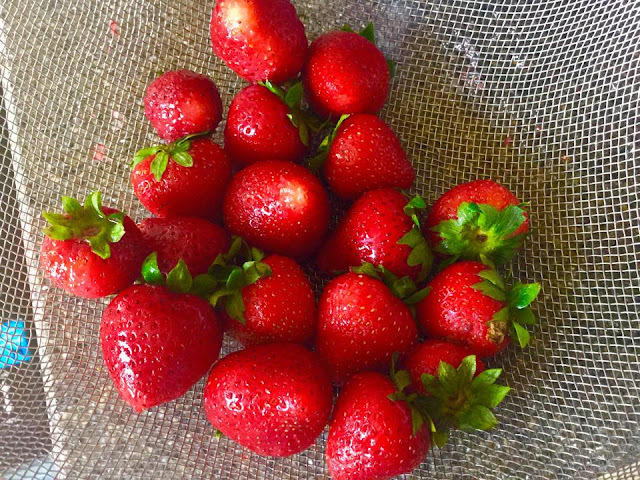 Since childhood I have not been naturally attracted to eating any fruits despite being coaxed, forced and threatened to eat it. Sigh, I pity my parents sometimes. How much they tried to feed me fruits with no success! 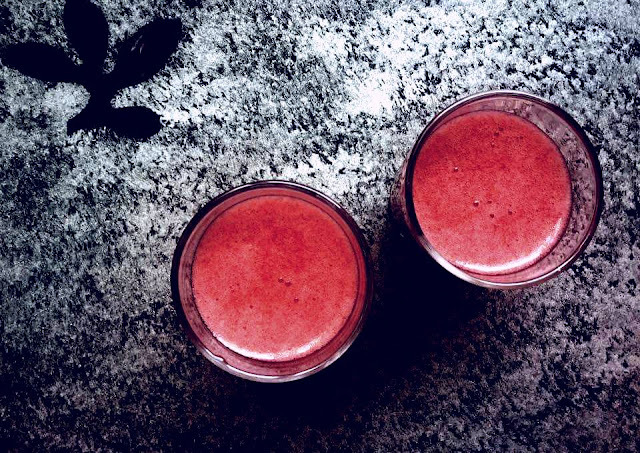 Coming back to this particular juice recipe, it is made of plums and strawberries. Plums are low in calories and contain no saturated fat. They also contain numerous health promoting compounds, minerals and vitamins. You can choose to peel the skin off or keep it. The peel not only provides good fiber content but it also has some health benefiting anti-oxidant pigments. So I would prefer to enjoy this fruit with the peel on. Strawberries are also low in calories and fats. They provide a rich source of health promoting phyto-nutrients, minerals and vitamins essential for optimum health. So in all they did seem to be a good combination for my mid morning meal. I wanted to try some variation with this juice and was pleased with this result. Wash the strawberries well and roughly chop them. Wash and roughly chop the plums, deseed it. 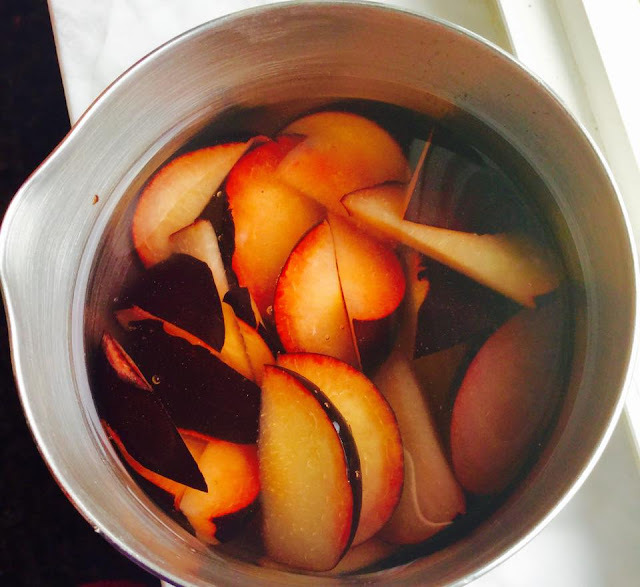 In a thick bottomed pan, add the plums along with some water. Bring it to a boil. Keep stirring. 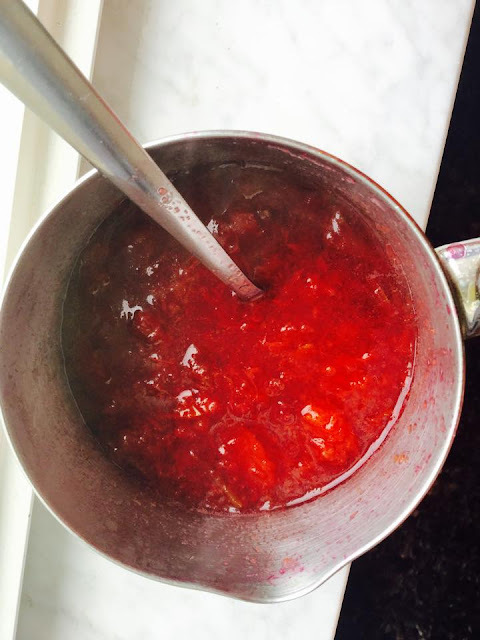 In 7-8 minutes, the plums will become softer and mushy. It will start to look like jam. Yumm! Love the color. Let this cool down. 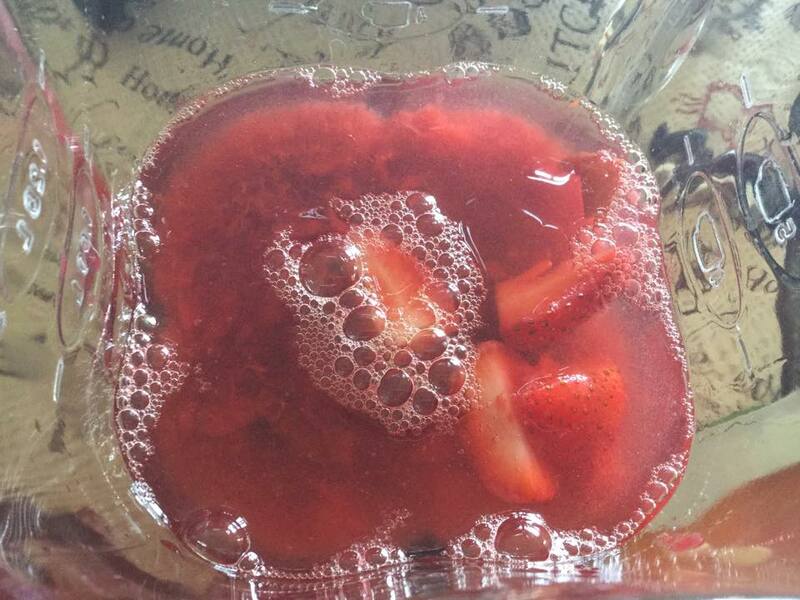 In a processor, add the chopped strawberries, plum juice and honey. Juice it up! Sprinkle pepper powder on top before serving just to give it a spicy after taste. This one hits you right where it needs to. And this doesn’t even have any alcohol in it! It surely is the ultimate refresher drink I ever had!